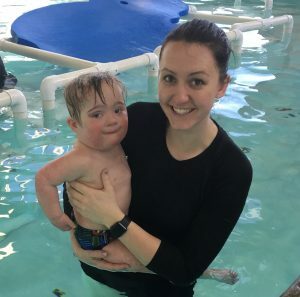 Here at Kaleidoscope, we use aquatic physical therapy sessions to compliment our sessions in the clinic. 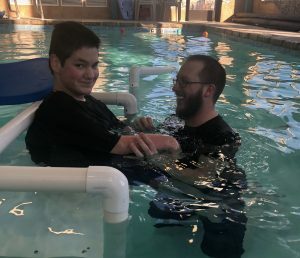 The unique pool environment can give our patients the opportunity to perform movement patterns they may not have the ability to perform on land. We can address head and trunk control, balance, gait, and many other exercises. The buoyancy of the water allows the physical therapist to work on proper alignment with less handling. Allowing the therapist to focus on the child’s form and function. This comes into play when working on all developmental positions such as tummy time, upright sitting, and even standing. The gravity-reduced environment allows for the therapist to assist the child in working on transitional movements, such as coming from sitting to standing and moving in and out of sitting. Exercises in the water can promote both strength and improved activity tolerance in children. As the reduced gravity environment allows the movement to be performed while the hydrostatic resistance promotes gains in these areas. 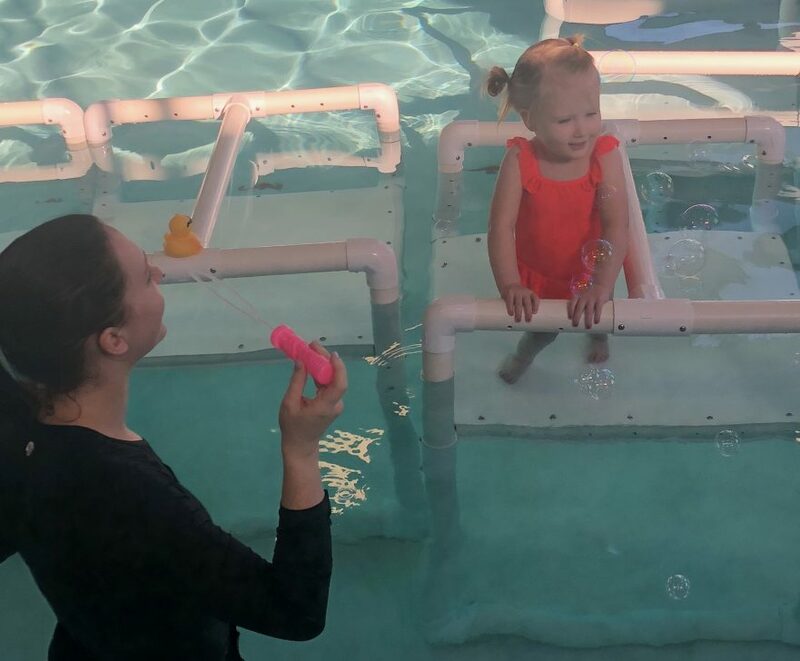 When working on balance, the support of the water allows kids’ bodies to react thus allowing them to participate in higher level balance activities to improve balance strategies. Melanie Gambill Physical Therapist at Kaleidoscope Pediatric Therapy. If you have questions about our next Aquatic Physical Therapy session please give us a call or contact us below.